From changing her looks, going under the knife to getting married to a woman and changing her name, she has really gone through a lot to embrace who she is and what she believes in. Have you ever wondered why her channel is a one-stop platform for people seeking answers on LGBT+ culture? It is because she is one of the leading voices from the LGBT community on YouTube and she equally devotes much of her time teaching people more about LGBT and encouraging people to embrace their sexuality. Meet Ash Hardell, a member of the LGBT community currently making waves on YouTube. Hardell is a household name on the video-sharing platform, YouTube and she shares a strong bond with her viewers who are in love with her personality, her optimism, and views about life. Apart from LGBT-related contents, she also uploads personal vlogs, stop-motion animation clips, and comedic contents. You will get to know more about her in this article. It was on the 4th of February 1992 that Ash Hardell was born to her parents. Her real name is Ashley Mardell and she is a native of Minneapolis, Minnesota, in the United States. The YouTuber has a younger sibling called Jimmy, with whom she was raised up in Minnesota. However, the names of her parents are yet to publicly disclosed and there are no records of her childhood, early life, family history, and educational background. Ash Hardell is famous on YouTube for uploading information about her daily life and queer issues for the consumption of her teeming fans. Her most popular videos since she launched her YouTube career include “I Got Top Surgery” and “Calling My Mom to Tell Her I’m Trans.” The two have raked in millions of views so far and are mostly watched by transgender people. 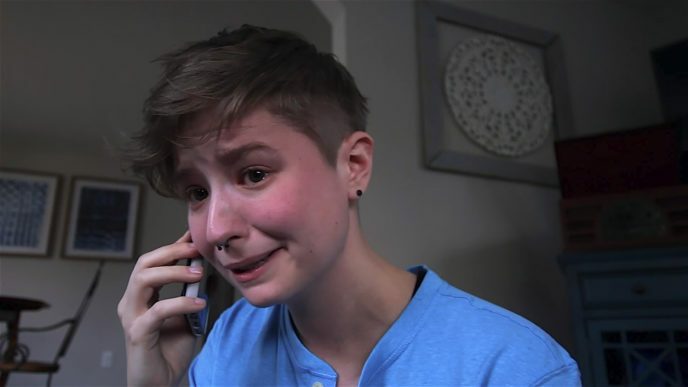 In the second video, the YouTuber was captured telling her mother she is trans and that she wants to undergo a top surgery. Reacting to the news, her mom asked her all sorts of questions but then, reassured her and her wife Grace that she still loves them irrespective of their sexual preferences and how people see them. Her first YouTube channel was launched on 5th November 2009 and as of November 2018, it has pulled in more than five hundred and sixty thousand subscribers. Her second channel is dedicated to her family. Titled *AshAndGraceSPACE*, it was launched on the 8th day of July 2012. The platform is where the YouTuber shares general vlogs about herself and Grace. Currently, *AshAndGraceSPACE* has more than one hundred thousand subscribers who truly appreciate the kind of person Ash is, as well as her relationship with her wife. 1. Ash Hardell got married to her wife Grace in the year 2016. Their wedding ceremony was documented for the YouTuber’s hundreds of subscribers. 2. The two immediately changed their names after their wedding. They simply combined Ash and Grace’s last names and then changed Ashley to a more gender neutral-friendly name – Ash. 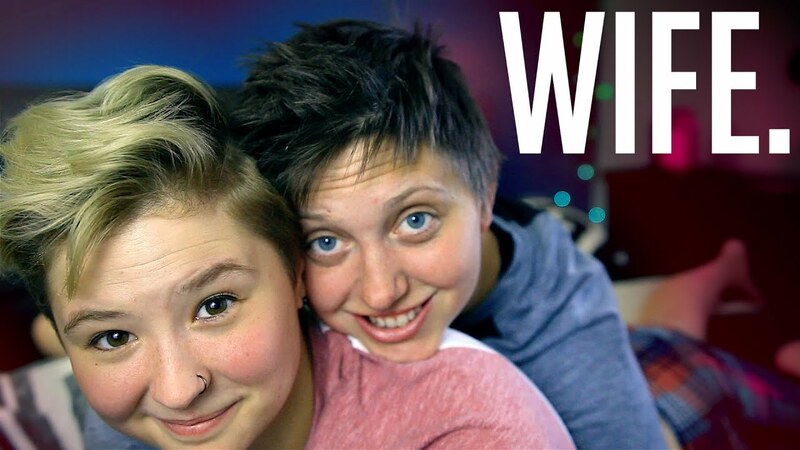 Recently, the YouTuber and her wife came out as non-binary transgender. 3. On several occasions, the two have completed a lot of projects together, including creating romantic vlogs and fun challenges. 4. In the course of her career, the stop-motion animator has also collaborated with so many notable YouTubers, including Andrew Quo, Dan Sweeto, Andrew Huang, and Hannah Hart, to mention a few. 5. Ash Hardell is the author of the #1 Amazon bestseller ‘The ABCs of LGBT+.’ The book is more of an eye-opening introduction for people who wants to understand more of LGBTQ+ culture and also learn how to come out of the closet. 6. The YouTuber has also banded together with like-minded brands such as TomBoyX Underwear, Better Help, Adam and Eve, LGBT+ Amino App and Clue App. 7. You can have a one-one chat with Hardell using any of her usernames on any of these social media platforms – Twitter (@AshHardell), Facebook (HeyThere005), YouTube (Ash Hardell), Instagram (ash hardell), Tumblr (ashhardell), and Snapchat (officialgracely). 8. Also known as Ashley Mardell, she was nominated for an award at the 9th Annual Shorty Awards in the LGBTQ+ YOUTUBE CHANNEL category. 9. As a speaker, the YouTuber has delivered speeches at the University of Omaha and at the VidCon US.